High schooler Alyssa Rydel is taking American Studies for her college prep course. She knows it’s a tough class, and she hopes she can juggle her schoolwork, a part-time job, and track meets. Paired with new student, Miguel DeSoto, the two are assigned to find the first flag of New Hampshire. The flag has only flown four times in New Hampshire’s past. Can they track the flag through history before time is up? 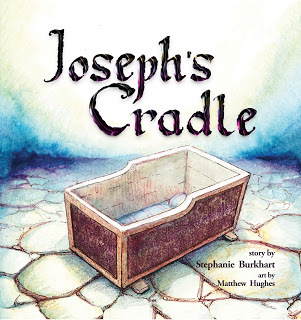 Stephanie Burkhart makes history fun in this engaging middle school/young adult story. First Flag of New Hampshire brings together a small cast of characters in a school setting, along with other points of interest in New Hampshire. With Miguel being new to the area, details can be shared with readers without weighing down the story with too much information. The back to school season also allows Miguel to witness the glory of living in New England, which is different from his previous home in Miami. I also like that Burkhart manages to provide a fair amount of background for her characters even though the book is under 40 pages. 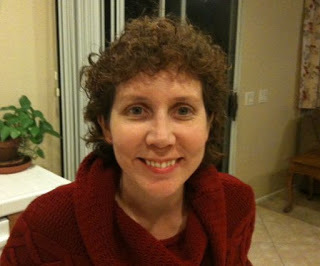 The artwork is crafted by Ginger Nielson, who is a children’s book illustrator and author. I was already familiar with Nielson’s work prior to this book. She does a lovely job for First Flag of New Hampshire. In addition to the beautiful cover art–which clearly depicts fall in New England–her interior black and white illustrations include just the right amount of detail to complement the story. 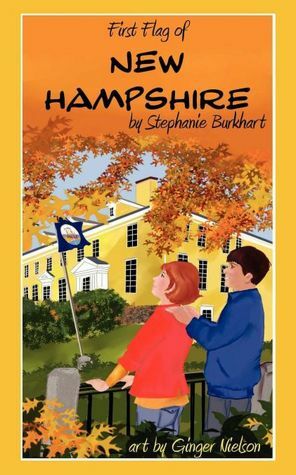 Readers who like solving mysteries or learning about the past will enjoy First Flag of New Hampshire. This would also make a great addition to a school library. I look forward to more from this author. I received a free copy of this book from the author. This review includes my honest opinions, for which I was not compensated in any way.